Engineering a valve automation system that will provide reliable execution under extreme conditions in the most remote locations is no simple task. 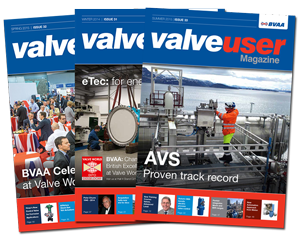 Today, automating valves requires a lengthy, costly engineering and procurement process to determine, acquire, test and finally commission the best valve control assemblies for the operation. As the current engineering environment struggles to maintain knowledge transfer through an aging workforce, economic forces also require ever-higher efficiencies from organisations. A subsequent lack of industry resources has reduced staff and training time regarding automation technologies, who often turn to their supplier to support their operations requirement. 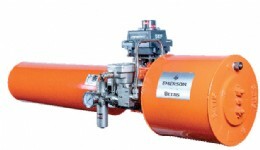 The Emerson Bettis™ VOS-PAC is a turnkey valve operating system (VOS) package with an actuator and fully integrated controls that allows large scale fixed installations to access faster commissioning, with the assurance of quality. The integrated pneumatic actuation package includes air filter regulators, relief valves, solenoid valves, limit switches, positioners, as well as the piping and engineering as a single solution. Designed by Emerson specialist engineers, the Bettis automated actuator and modular control system eliminates the need to source components from individual suppliers and manage lost documentation. Bettis users are able to benefit from technical documentation upon receiving a quotation. This is achieved by the ability to source the part number and technical drawings via an online catalogue, online selector, producing an instant price and eliminating the need for manually entered engineering data sheets. Further advantages are to be gained throughout the lifecycle of the product further reducing the cost of ownership, shortening repair requirements and equipment downtime. Fully engineered and tested, the Bettis VOS-PAC integrates the digital tagging of parts, creating an on-demand documentation that allows organisations to access permanent online data storage on or off-site, all in one databook. This not only assures legislative compliance over time, it also reduces safety concerns. Engineers and service personnel from Emerson World Area Configuration Centres regionally engineer, assemble, test, and deliver the VOS-PAC product. Scalable in price, specifications, features, and functionality, the assemblies can be adjusted to meet any unique set of needs. Because the requirement for auditing is eliminated, Emerson is able to save the customer three to six weeks in engineering time for faster delivery. On arrival, the system is delivered with all related documentation from installation manuals, quick service guides and drawings to warranty certificate and maintenance schedules; including an industry-leading five-year warranty for all components under one serial number. To find out more, visit https://www.emerson.com/en-us/news/ automation/vw-2018 to schedule an appointment to meet with Bettis VOS-PAC experts in hall 3, stand E19 at Valve World Expo 2018 in Düsseldorf, Germany.